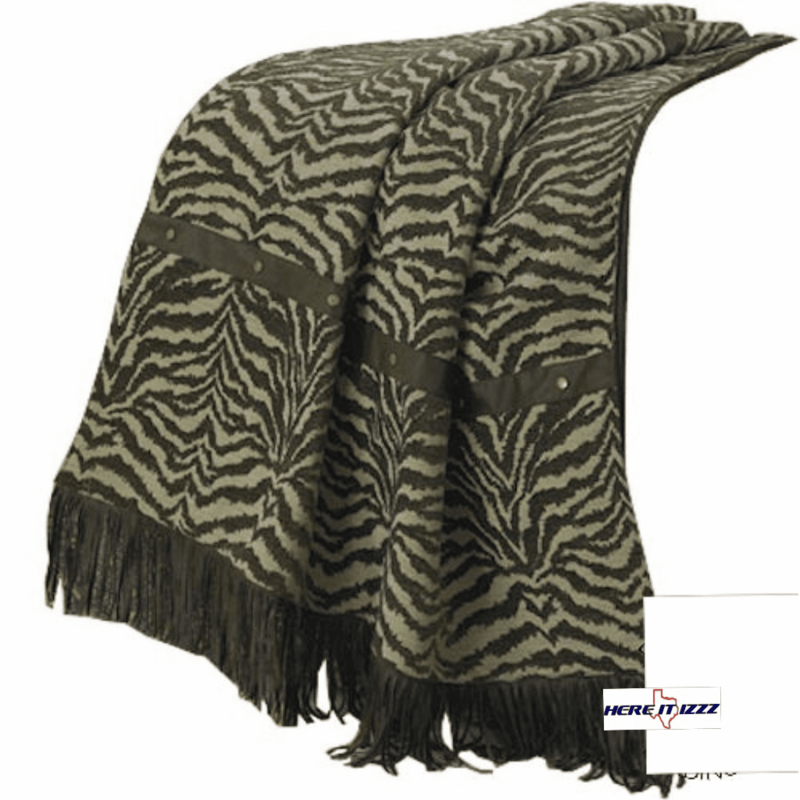 Bold animalistic Style and beautiful designed accessories make for the ultimate bed in a bag. 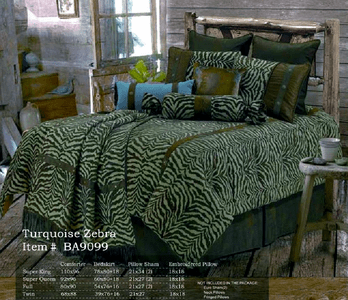 Update your bedroom to the look of an African safari. 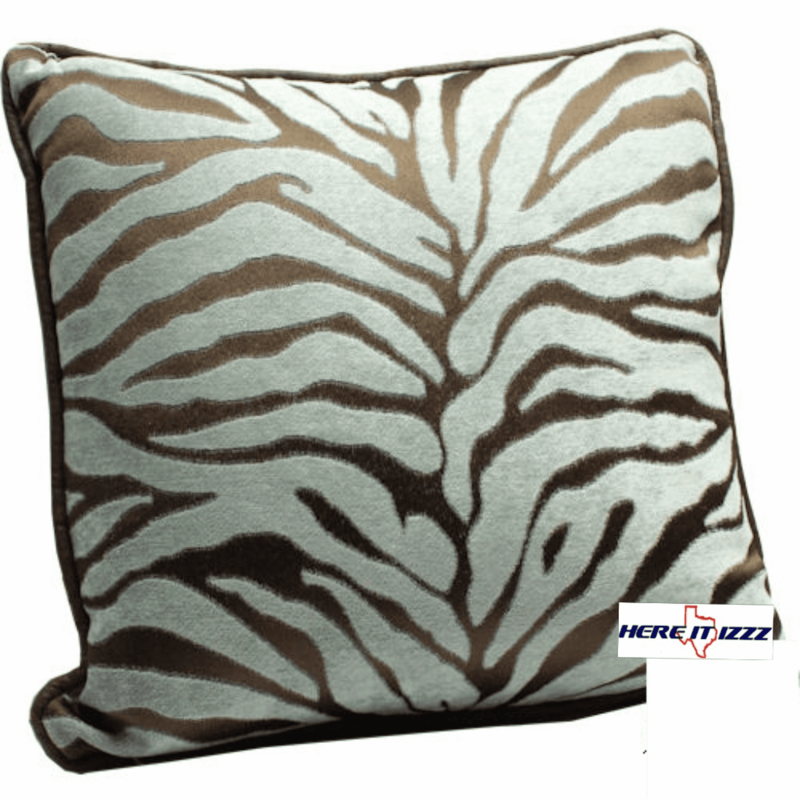 Turquoise colored zebra Style fabric buttery soft and velvety. Colors and textures combined for a pleasing look. 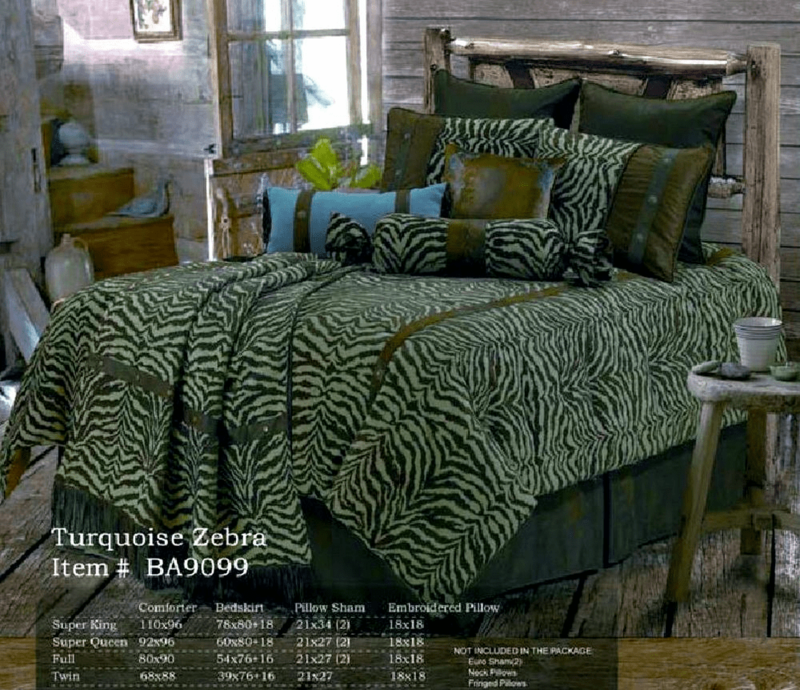 This comforter set features 5 pieces, (twin is 4 pieces). 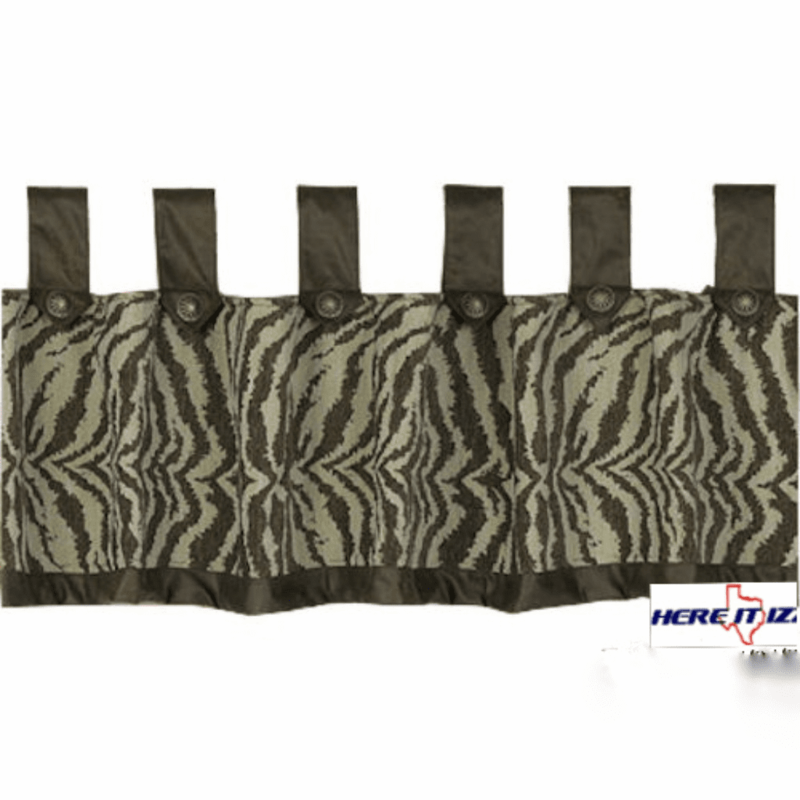 Comforter is a raised textured chenille fabric with turquoise green and brown zebra stripe print. 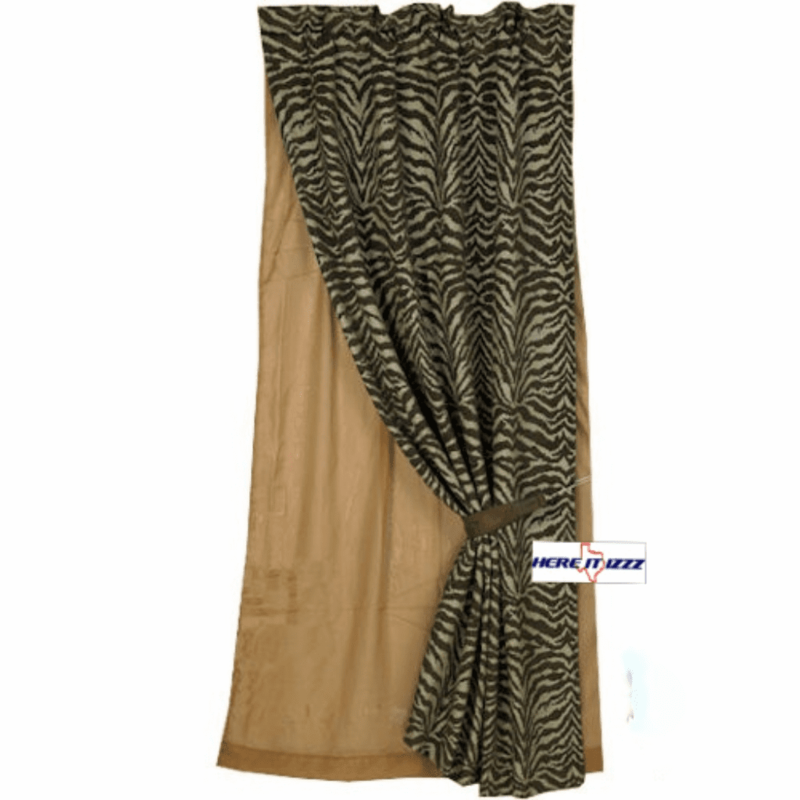 Bedskirt is brown micro-suede material. 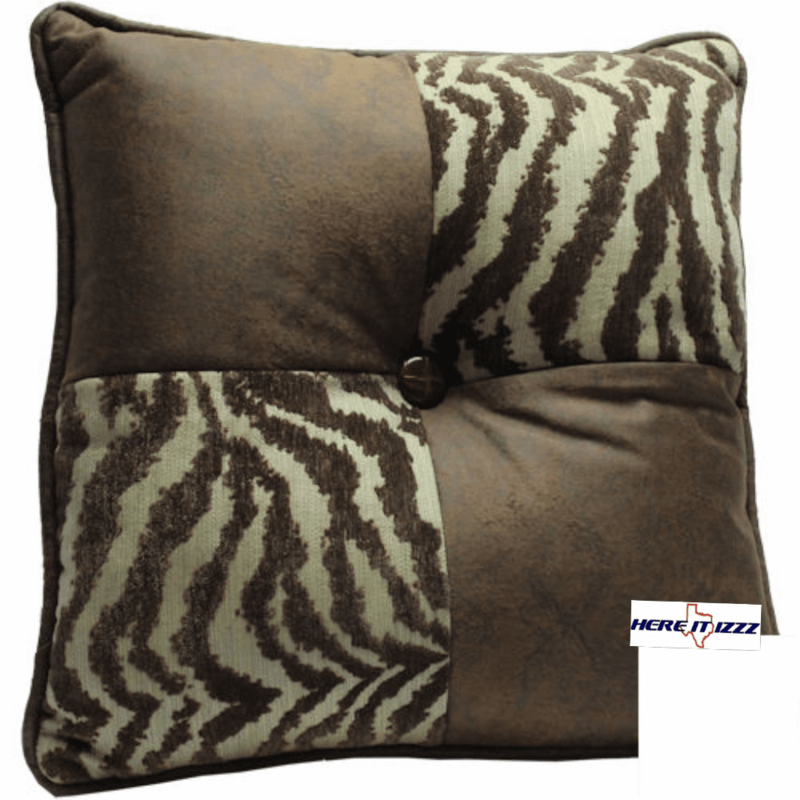 Also included in this set are the two matching pillow shams and brown pillow with blue embrodiered design. 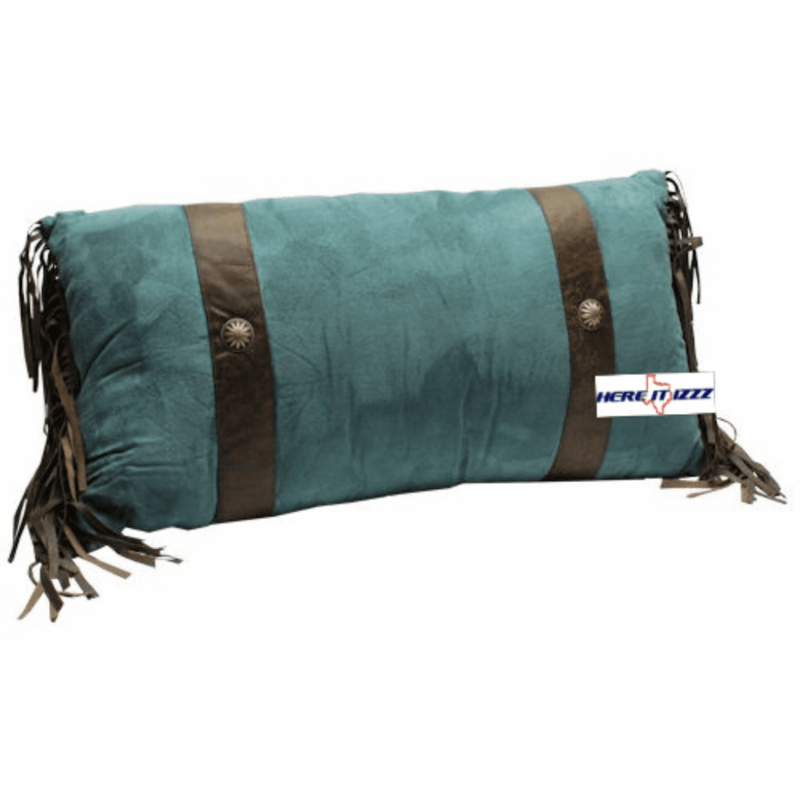 Not included with this set, but sold here in our store are the two brown micro-suede euro shams, blue fringed neck pillow and the zebra print neckroll.